Ten years ago, the Walking Egg vzw was founded. This non-profit organization aims to give more people worldwide access to family planning, including the treatment of childlessness. 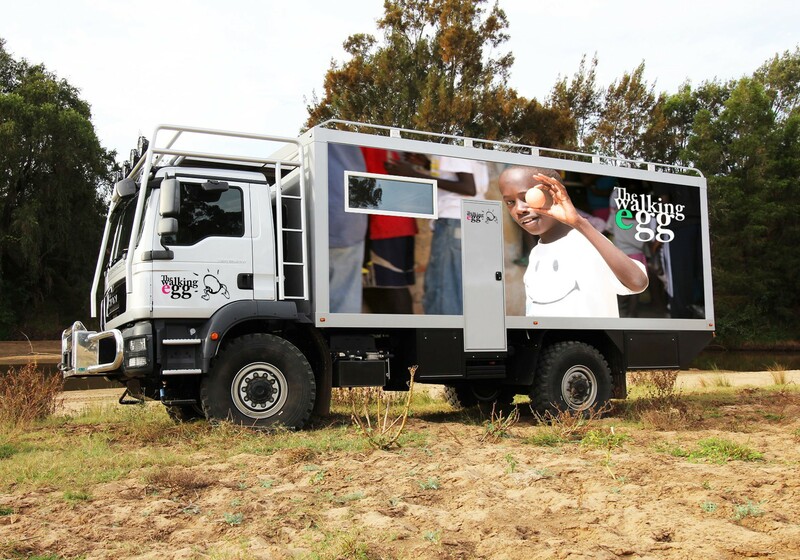 Through participation in the Warmaton of 'Music for Life,' in Genk, Belgium, they want to ask for support for the development of a 'container on wheels' with a small laboratory with which cheap IVF can be offered in smaller South African cities where IVF centers are not present. Crucially, this opportunity is being used to discuss contraception and HIV-prevention. If this project succeeds, it will undoubtedly be followed in many developing countries. According to the World Health Organization (WHO), around 200 million people worldwide do not have access to contraception, as many people lack an affordable infertility approach, including IVF. It is known, however, that the consequences of childlessness in many developing countries are extreme, especially for women: family expulsion, disincentives, severe depression, and suicide. The Walking Egg on Wheels is considered necessary by the World Health Organization, but financial resources and support are difficult to obtain. This project is now one of the 'good causes' for the hottest week, the well-known initiative of 'Music for Life' in Belgium. We invite you to take part in the Warmathon on Tuesday, December 18, in the Molenvijverpark in Genk, between 2 pm and 8 pm. The Warmathon guarantees a rarely experienced atmosphere and a delightful ambiance, Cath Luyten, Stijn Vlaeminck, and DJ Regi are also present. Everyone can walk or jog, and each participant chooses which charity he supports by running. Of course, we hope The Walking Egg on Wheels! Thank you for your support! You can register or support via https://dewarmsteweek.stubru.be/.